Two trenches were excavated in the car parking area to the rear of these properties. Not unexpectedly for this part of the city we revealed well-preserved, intact archaeological features. 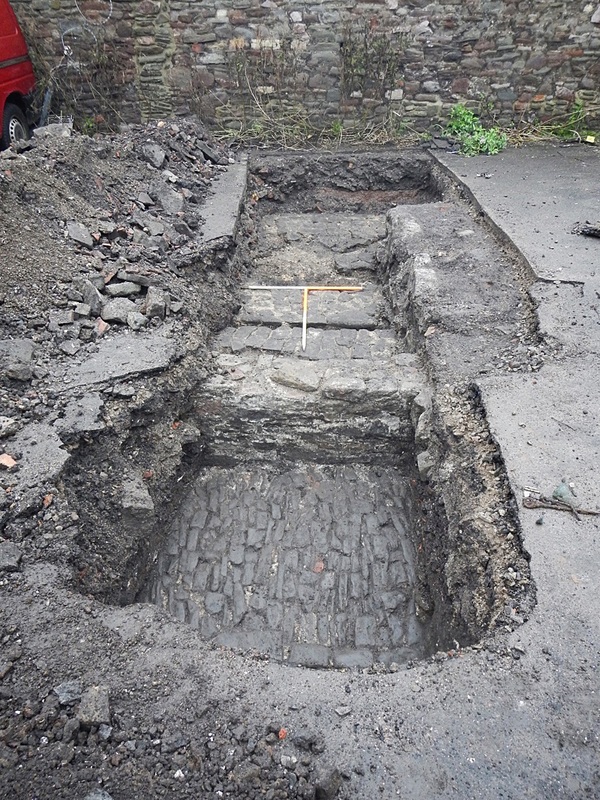 These remains related to various phases when the site was occupied by the Lamb Inn, a mid-17th century coaching inn which was demolished in 1905. Both trenches demonstrated that following that demolition, the remains were buried and the land level raised, which has provided (unplanned) protection for the archaeology below.